Provide comfort for the family of Bette Morehead with a meaningful gesture of sympathy. Bette J. Morehead, 85, of Greeley, left this life on January 18, 2019 from Greeley. Bette was born in Greeley to Peter & Kathryn (Bostrom) Ehrlich on November 12, 1933, and spending her entire life in Greeley. She married James Morehead in 1952 and had three daughters and one son. She was a homemaker and work at various jobs in Greeley. Bette was a 20-year member of the Greeley Stampede Wranglers. Bette was passionate about her family, leaving many treasured memories and will be greatly missed. She was a lifelong Bingo player, a Garage sale guru and always looking for a good deal. Bette is survived by her children, Susan (Dennis) Scarbough, Jim (Coleen) Morehead, Son-in-Law Dennis Baack; grandchildren, Megan Johnson, Jill (Cory) Andrews, Darrick (Lisa) Rickard, Lee (Adele) Morehead, and Benjamin (Pam) Baack; and numerous Great Grandchildren. She was preceded in death by her husband; children, Cherrie Johnson and Cynde Baack; and grandson, Scott Valencia. Services will be held in private. Memorial contributions are welcome and should be made to the Greeley Stampede, in care of Northern Colorado Crematory, 700 8th St, Greeley, CO 80631. 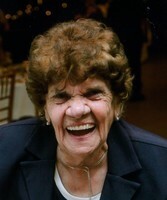 To send flowers in memory of Bette Jean Morehead, please visit our Heartfelt Sympathies Store. We encourage you to share your most beloved memories of Bette here, so that the family and other loved ones can always see it. You can upload cherished photographs, or share your favorite stories, and can even comment on those shared by others. Provide comfort for the family of Bette Jean Morehead by sending flowers. Bette you are one of my “beautiful smile” memories of Wranglers!!! So many concerts people watching (& laughing our butts off); you did know a stranger or fail to care for one person. Always the 1st there & most dependable, you made volunteering fun. May your heaven include a beautiful mountain view with a cool one in a casino across the street, complete with your love one & possee of friends to enjoy more country music. God’s speed my friend, your journey here was amazing!